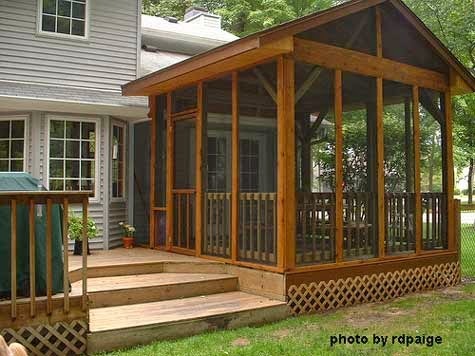 Over the years the folks here at American Renovation Services have installed a wide range of screen rooms, sunrooms, sun porches and custom additions. We have enjoyed turning typical backyards into a complete backyard social center with outdoor kitchens, fire pits, outdoor fireplaces, and our elegantly designed sunrooms and sun porches. When we reflect on our company history, we are pleased to take note of the many changes in our clients’ aspirations and dreams and the part we play in turning them into true realities. For many of our valued clients, bringing the comforts of their indoor living space to their outdoor living space has become a favored home improvement project. Here in Nashville we get perhaps 6-8 months of comfortable weather and people simply want the opportunity to take full advantage of that time. People tend to find favor with outdoor activities and simply relaxing with a cocktail in hand, especially during the summer months and the comfortable spring and fall days as well. With that said, creating, designing and installing elegant sun porches can allow them to do just that. Each of our designs is unique to our client’s taste and appeal. Our highly skilled and trained technicians are on hand to answer questions, discuss concerns and help design and create the perfect outdoor living space for your home. Your uniquely customized outdoor space can offer you breathtaking views that will make you the envy of all your neighbors. The style and class afforded you with one of our customized sun porches is sure to enhance your outdoor living with family and friends and can also serve to protect you from the elements while affording you the opportunity to mingle, visit, chat and socialize. 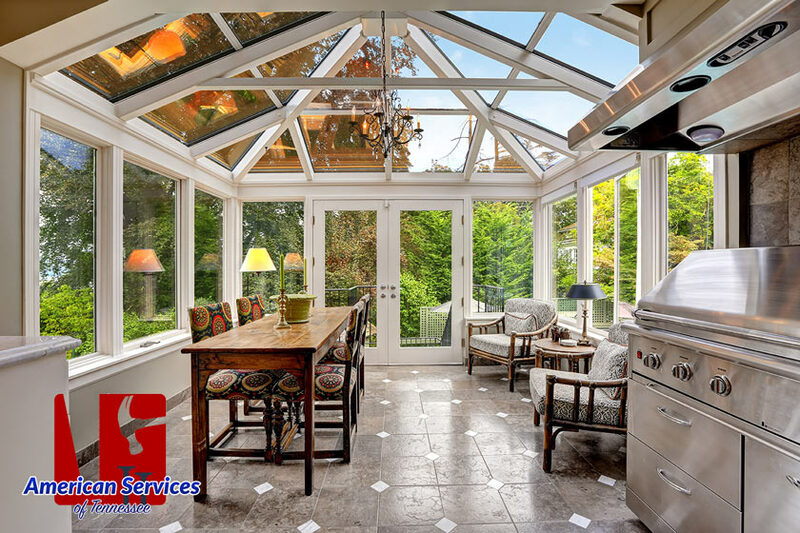 An elegant sun porch quickly becomes a part of your home and when donned with retractable electronic screens, LED lighting, cooling fans, flat screen TVs and soft, appealing architectural designs it can be nothing but relaxing, refreshing and rewarding. Your new outdoor living space can serve as the focal point or hub of your gatherings. When inside your sun porch you are protected from the elements while enjoying television or music, dimmed lighting and space enough to accommodate many. In the cooler months you can add heat blowers to help keep you comfortable and in the summer time cool down the activities with overhead fans and blowers. All that our stylish sun porches bring to the table simply adds to your outdoor comfort and enjoyment. As home renovation experts, the professionals here at American Renovation Services are incredibly passionate about enhancing your already perfect, comfortable home. Trendy concepts that make their way into the industry are an ideal way of accomplishing that and certainly our comfy, appealing and very elegantly designed sun porches fall into that trendy category. If you are looking for an exciting and incredibly practical yet attractive concept to enhance not only your outdoor living space and activities, but the overall value of your home then we are the team for you. From patios, decks, sunrooms and sun porches we handle it all. If an addition of any type is what you give favor to and are in search of, then surely you have come to the right place. Simply give a call out to our friendly, professional team today and schedule your free consultation. We will head on over to your home, assess your space, and work right alongside of you to create, design and install the perfect outdoor living space addition for you and your family. We look forward to our every opportunity to serve you and to providing you with all your home renovation and remodeling needs. Don’t delay. Take time out and contact our team today! !